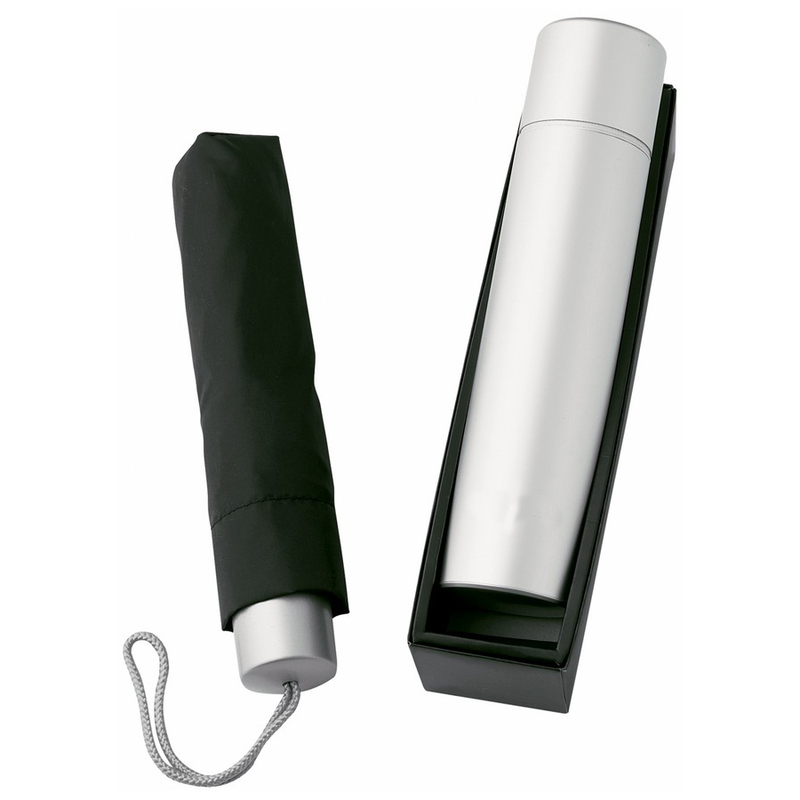 8 panel compact, lightweight folding umbrella, 53cm rib length comes packed in aluminium tube. Supplied in 2 piece black gift box. Colours: Black, Dimension: Case: 260mm H x 50mm W. Price includes : Unit Price Pad Print - 1 Colour 1 Position - CASE. Setup is included.